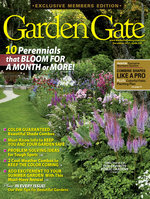 When it comes to planting perennials, don’t let any of your hard work — or hard earned cash — go to waste! 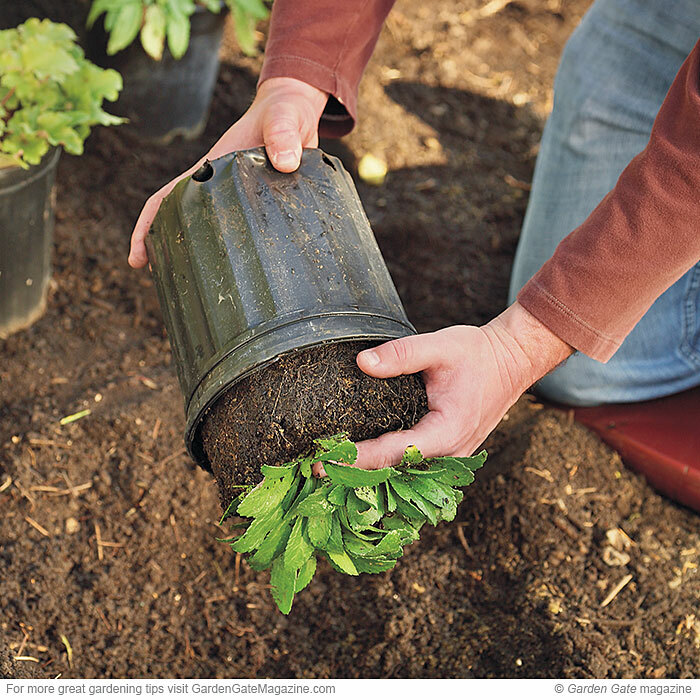 Start with good soil (that includes plenty of compost and the right amendments) and follow the tried-and-true tips ahead to plant right each and every time. 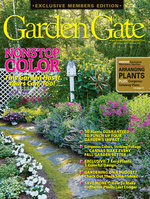 Prevent stress to new plants by choosing the best time to put them in the ground — when it’ll be cool and cloudy. 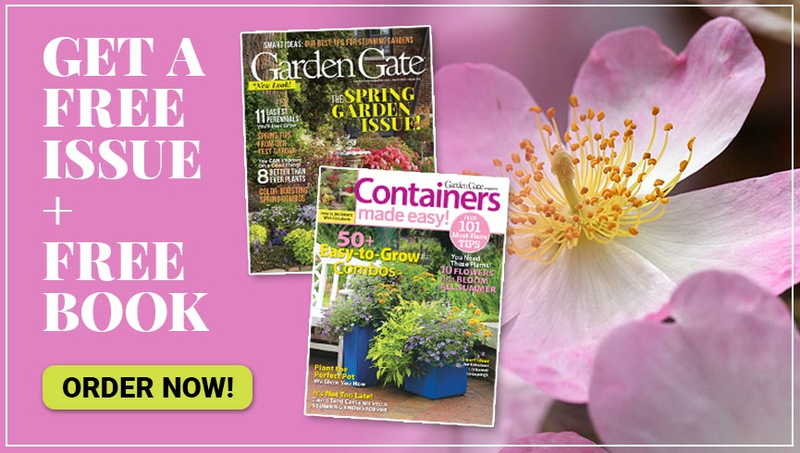 Then, the night before you’re ready to plant, set the potted perennials in place, like we did here — it’s easier to adjust the design this way than after everything’s planted. Finally, give each of them a drink, and the garden soil beneath will get a good sprinkling, too. Now you can relax until tomorrow when it’s time to dig. We dug a wide, shallow hole here — it’s much larger than the gallon-size perennial that’s going into it. A wide hole, at least twice as wide as the pot, allows roots to push out into the loosened soil quickly to gather moisture and nutrients. Not only is a shallow hole easier to dig than a deep one, but loosening lots of soil in the bottom of the hole could cause the plant to sink after it’s watered, which could end up rotting the crown. As a rule of thumb, don’t dig any deeper than the depth of the pot the plant came in. And don’t dig all of your planting holes at one time, either. Moisture is critical, and an open hole dries out quickly. 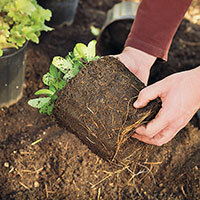 If roots are poking through the drainage holes, cut them off so the root ball will slide out easier. Then put your fingers over the crown and tip the pot, just like we did here. 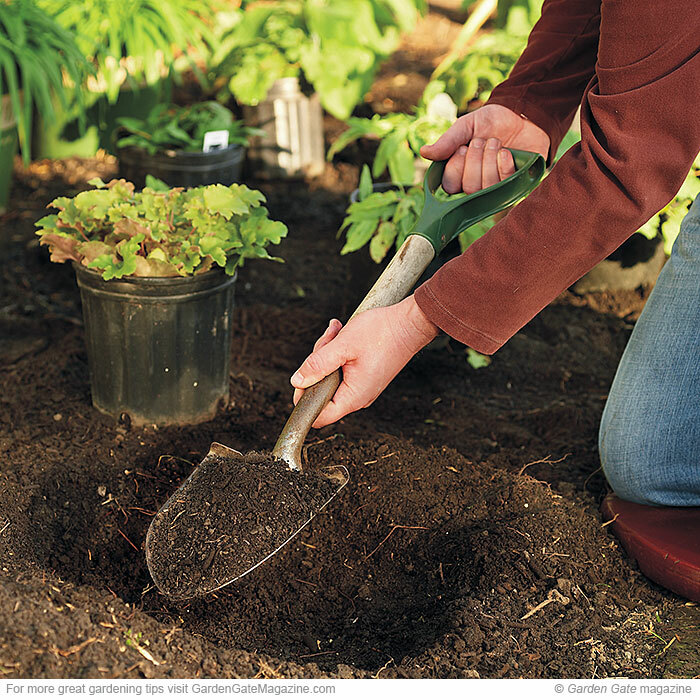 This way, the soil will hold together and you’re less likely to drop the plant or break stems. If it won’t slide out, just squeeze the sides of the pot a few times. Once the plant is out, you might notice its roots circling around the bottom of the root ball. 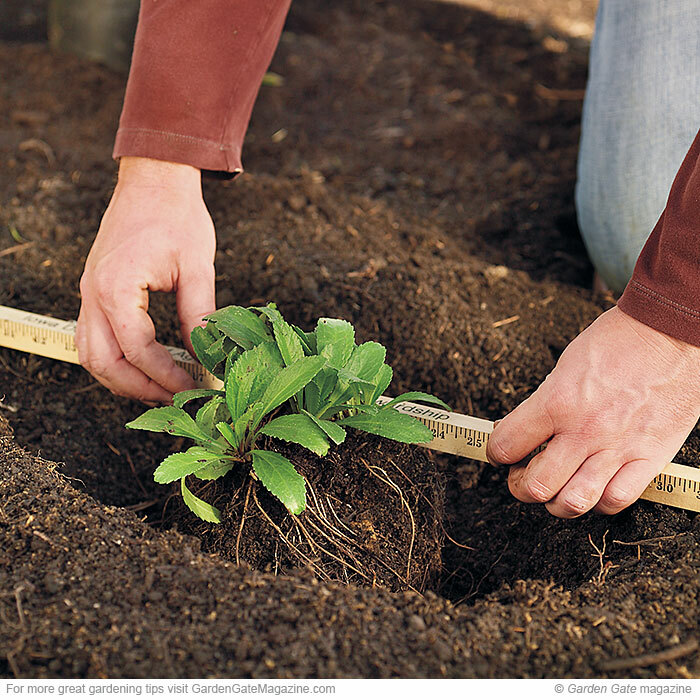 Gently pull them loose, like we did in the photo below, so they can spread into the surrounding soil more easily. This way, roots won’t continue to coil once your plant is in the ground, which can stunt growth or even kill it. Then push a couple of inches of soil back into the hole, adjusting the depth if you need to. Gently firm the soil around the root ball to hold it in place. You can use an organic liquid fertilizer, such as fish emulsion, now, to get the roots moving faster, before you finish backfilling the hole. 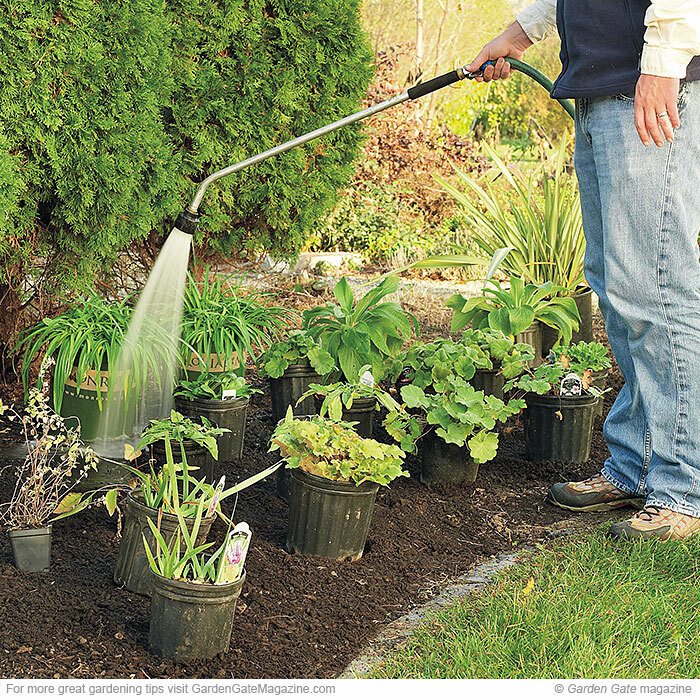 After your new plants are in place, soak the area with a sprinkler, and be sure to keep the bed moist for the next few weeks as it gets established.